Michael David Lukas talks about his novel, THE ORACLE OF STAMBOUL. It’s the story of a young girl of astonishing talents who changes the course of the Ottoman Empire. And Thrity Umrigar tells us about her new novel, THE WORLD WE FOUND. Four college friends from Bombay India reconnect decades later when one of them falls gravely ill — and find their lives profoundly changed. 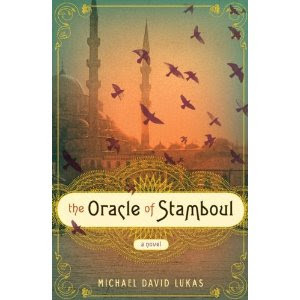 Michael David Lukas’ novel, The Oracle of Stamboul, takes us back to the waning years of the Ottoman Empire. Eight year old prodigy Eleanora Cohen finds herself at the fulcrum of history, lever in hand. A motherless Jewish immigrant, she becomes advisor to the last Sultan — and therein lies a tale that juxtaposes magic with reality, fable and history. The novel is not just a hugely enjoyable romp through the past, but also resonates with our own time of empires in decline. The Oracle of Stamboul is Michael David Lukas’ first novel. 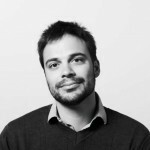 He has written for Slate, National Geographic Traveler, and Georgia Review. When he isn’t writing, he teaches creative writing to 3rd, 4th, and 5th graders. Read an excerpt from THE ORACLE OF STAMBOUL. Hear the author read the book’s first chapter. We first spoke with Indian-born writer Thrity Umrigar in 2009 about her novel THE WEIGHT OF HEAVEN, the story of an American couple who go to India to try to forget the tragic death of their young son. Umrigar’s new novel The World We Found is also set in her native land. This time the focus is on four women from Bombay who were the closest of friends as idealistic students in the turbulent 1970’s. Over the years, the four, Armaiti, Kavita, Laleh and Nishta, have drifted apart. But they are suddenly pulled together again when Armaiti, who has been living in America, finds out she has terminal cancer. She wants her friends to come together to visit her in America, so she can see them one last time. This beautiful novel explores themes of friendship and loyalty, of how our personal lives unfold against the backdrop of bigger events, and how those who love us can give us the courage to change. It also takes a hard look at anti-Muslim bigotry in India and how that has sparked a rise of religious fundamentalism in the Muslim community. 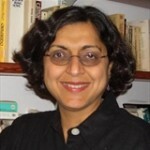 Thrity Umrigar is the author of several novels, including Bombay Time and The Space Between Us and the memoir, First Darling of the Morning. Read an excerpt from The World We Found. 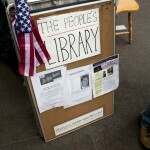 A new book of poetry has emerged from the Occupy Movement, LIBERTY’S VIGIL, THE OCCUPY ANTHOLOGY, 99 poets among the 99%. The word “liberty” in the title is a double entendre — Zucotti Park, the Manhattan site Occupy Wall Street held for three months before being forcibly expelled by Mayor Bloomberg, was known as Liberty Square, before being taken over by a private developer. The Occupiers, of course, reverted to the site’s original name. Host Francesca Rheannon reads two poems from the anthology: Occupation of the Heart by John Richard Smith and World Conditions Are Such by Leah Zazulyer.